BETTER THAN BUILDING!!! This immaculate bungalow is just 2 years old and it is a stunner! Built in 2015 the main floor of this home features a spacious foyer with large coat closet, a bright living /dining room combo with vaulted ceiling and bay window, a gorgeous kitchen with maple cabinetry, a huge pantry, lots of counter space and, bonus - the upgraded stainless steel appliances are included! There are 3 bedrooms on this floor, a full ensuite in the master and a main bath. In the lower level you will find a fully developed family room, the fourth bedroom and a three piece bathroom. 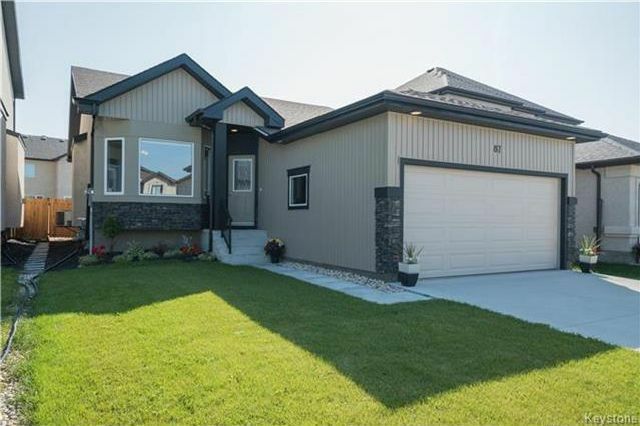 The home has front drive access with a double attached garage, the landscaping is complete with wood fence, grass, and a brand new deck and shed. This home is completely MOVE IN READY! Call to book your private showing today - and move in for Christmas!